Angie is an amazingly sweet and personable torti! 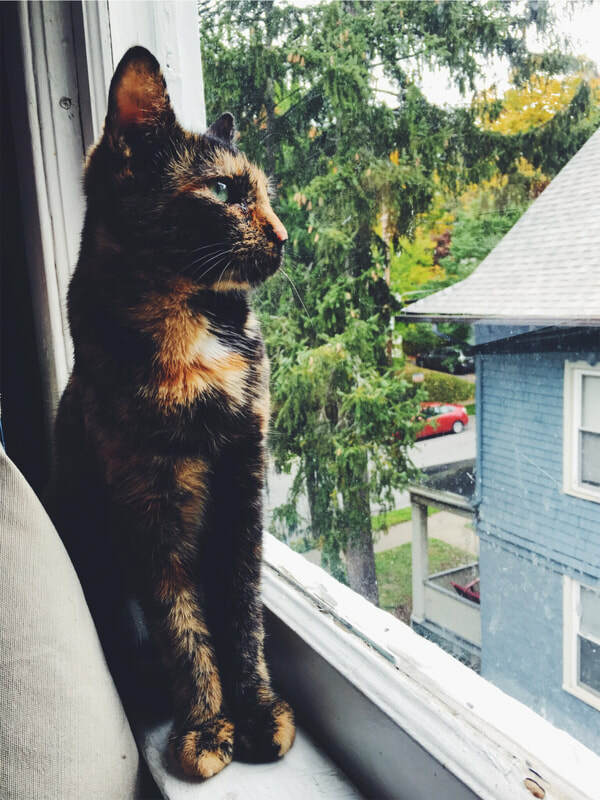 Often, Tortishell cats are known for their "tortitude" and sass...Angie is a delightful exception. She loves all people she meets, and gets along wonderfully with other cats. She loves to be part of the family, but is also purrfectly capable of sitting in the window and watching the world go by...she's good at keeping herself entertained. If you are looking for an energetic and affectionate new friend, Angie is the girl for you!